Like all the carriers except Verizon, T-Mobile is releasing the LG G6 on April 7. Right? Well, sort of. The magenta "Un-carrier" seems to be intent on spoiling Verizon's exclusive launch window for the G6, by shipping pre-orders early. Verizon is going to be the first US carrier to have the G6 available, on March 30. T-Mobile, on the other hand, just started taking pre-orders for it yesterday. However, if you placed a pre-order at the magenta carrier yesterday and chose overnight shipping, you probably were met with a big surprise today. Namely, an LG G6 waiting at your doorstep. A couple of reports are already public on Reddit and Twitter of customers who went with the overnight shipping option having received their G6s already. Images such as the one you can see above are attached as proof, and T-Mobile social media operators have acknowledged the deliveries. 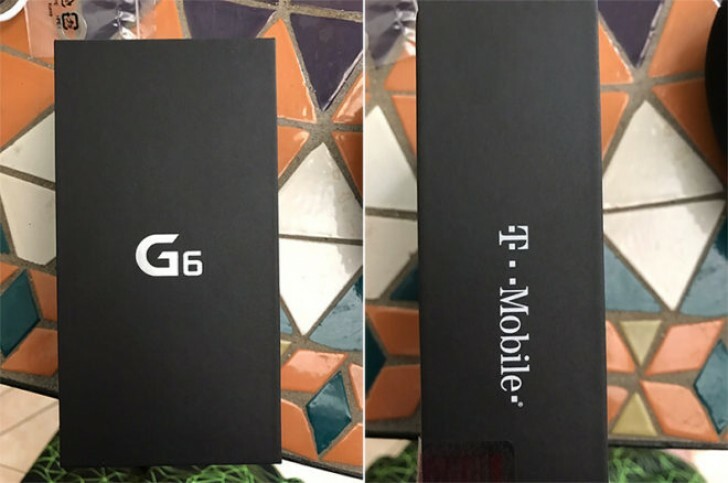 So it's (pretty much) official - "pre"-ordering a G6 from T-Mobile is actually just like ordering (sans "pre"). All the better for fans of the G6 and people who for some reason simply can't wait for the Galaxy S8 to arrive next month. Nobody wants to bay that overpriced 'kastrat' pice of aluminium. Nobody wants to wait for that ugly s8, it's either get the G6 or wait for the V30.